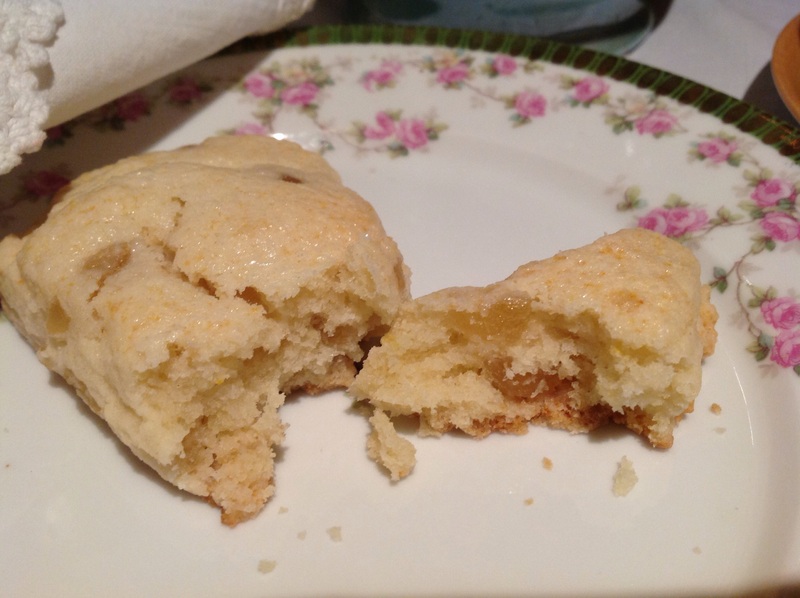 Lemon-Ginger Scones to Celebrate Downton Abbey Season 5! Happy days are here again! Downton Abbey returns tonight for the much anticipated season 5. Set in the Roaring Twenties, the costumes are sure to thrill. I can barely contain my excitement! Beloved by more than 120 million passionate viewers worldwide, the series has captured our imagination and hearts. To celebrate and to while away the hours of anticipation until the 70 minute opening episode of this beloved period drama, I have made a batch of scrumptious lemon-ginger scones that I think even the exacting Dowager Countess of Grantham would enjoy. If you are a lover of ginger you will adore these scones which are bursting with big chunks of crystalized ginger. The scones offer tantalizing bits of spice in every bite, just like the spicy drama in every episode. The recipe is adapted from Nancy Silverton’s Pastries from La Brea Bakery. 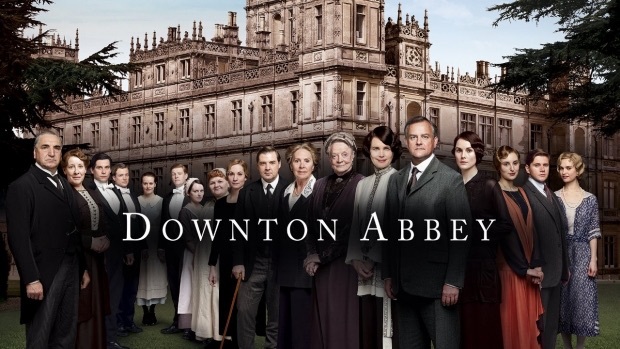 Did you know you can catch up on past episodes of Downton Abbey directly on the PBS site? Click on the “watch online” tab. Mix together the flour, sugar and baking powder. Add the zest. Cut in the butter until the mixture ressembles fine meal. I used my hands but a paddle attachment can be used with a mixer. Add the ginger and distribute well. Make a well in the center and pour in the cream. Draw in the dry ingredients with one hand until just combined. Turn the dough onto a floured surface and form into a sphere about 1/2 inch thick. Score then cut into 12 wedges. Place the wedges on a parchment lined sheet. Brush each scone with some cream. Bake in the center of the oven for 12-16 minutes until the scones are golden and the surface has cracked. Look at those chunks of ginger! Love! And now, on to the Abbey! 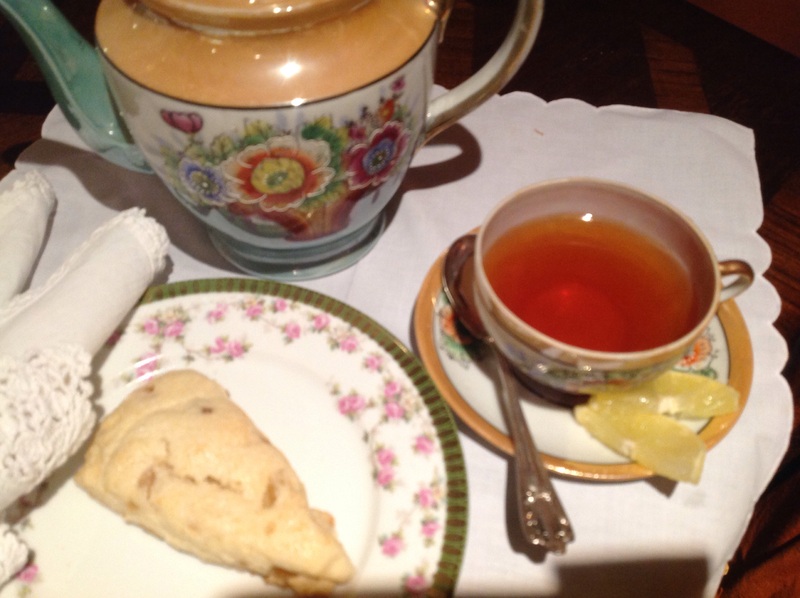 This entry was posted in Recipes and tagged Candied ginger scones, Downton Abbey, ginger lemon scones by Johanne Lamarche. Bookmark the permalink. Ooooo love Downton Abbey and love those scones, they go hand in hand me thinks. Clever you! Is season 5 starting here in the USA or in the UK? Tonight in the US and Canada!!!!! 9 pm for an extra long episode followed by an hour behind the scene documentary!! I’ve got some lemons in the fruit basket, just waiting to be used! Thanks for the share. One of these days I’ll have to check out Downton Abbey. Hahaha…I have a feeling I’ll do just that! So it’s not on Netflix? Guess I better get my happy self up to the library & on that list…I had no idea! Don t see it on Netflix It is on PBS site if you don t mind watching on computer It is best to watch in sequence though Let me know when you ve fallen in love . in the meantime, there are always lemon ginger scones! Sounds good, Johanne…I’ll let you know, then we can discuss! 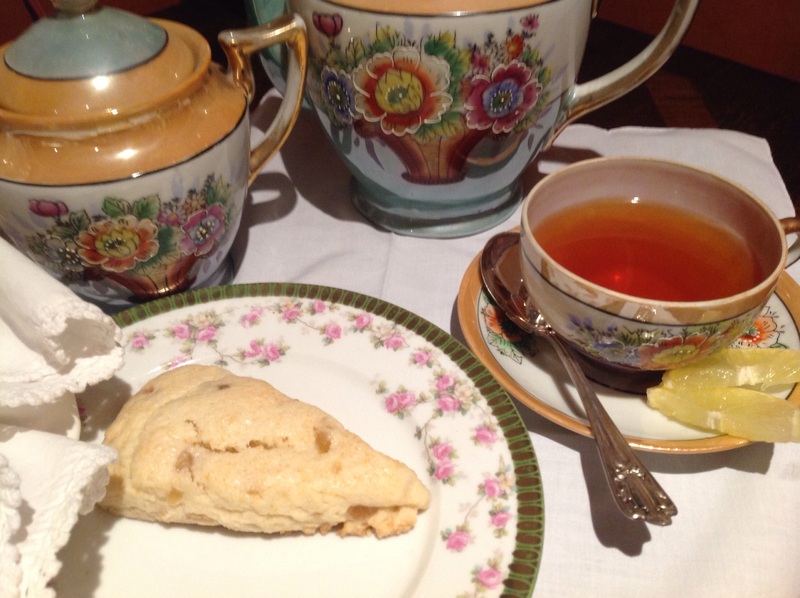 Now…about those scones…mmmm yum! Let me know how it is if you do buy it! Happy New Year!!! All through the first episode and the Manners special following, I watched the food and didn’t spot any scones! In my books scones are always English! Hope you like these Jenna!